We hope that everyone had a great Christmas! Santa was very good to us this year, and Ally and Melissa were doubly lucky this month because their birthdays were right before Christmas. (It was a little difficult to get a clear photo of the quote, which is from the parabatai oath, Until aught but death part thee and me. 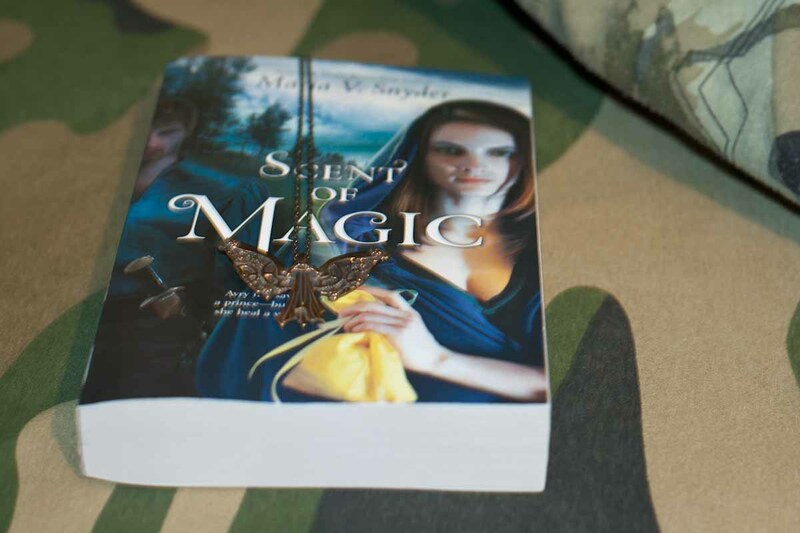 Thanks to Goodreads and HarperTeen! Looks like you all got some very interesting books this week. You three seem to have a theme going this week! I still need to read the Infernal Devices books; I own both of them but haven't had a chance to read them. Some awesome books there. I too, have yet to read the Infernal Devices trilogy. I'm glad that Santa was good to you all. He was good to me too! You should definitely read The Infernal Devices! I'm happy to here you got some great presents too! Thanks for stopping by! Yay for the infernal devices and I enjoyed the Raven boys! I still need to read Breathe :) Awesome haul you all have! I'm pretty much in love with all of those, I still have to read my copy of Breathe though. 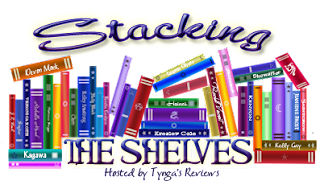 I hope all of you enjoy your books! Nice! some books I need to read as well. Happy reading! 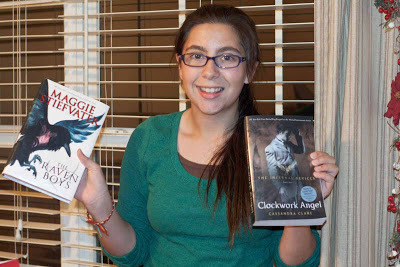 The Raven Boys is nice, and The Clockwork Angel series are, for me, the better series from C. Clare. Can't wait to get my copy of Easy (I must know what the fuss is all about! 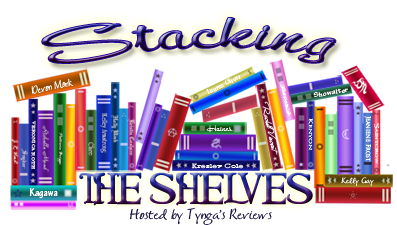 ), and Breathe is still there in my dusty TBR pile. Enjoy your reads! I absolutely NEED to buy The Raven Boys. It was so good! 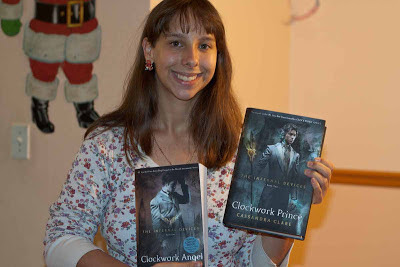 I still need to read Clockwork Angel and its sequel though, especially since Clockwork Princess is coming out in March. I read the Raven Boys and probably SHOULD write my review now. Nice haul ladies :) Enjoy your books. I'm sure you will enjoy all your amazing books and have a great weekend! We're counting down the days until Clockwork Princess, too. The latest snippet really killed us! Thanks for stopping by! 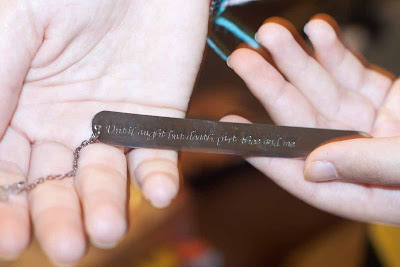 Aw, I love the quote on the bookmark. Beautiful. I'm only just getting started with Clare's books. Ivana @ Willing to See Less"
I hope you enjoy reading them! We're all huge fans of The Infernal Devices. Happy holidays to you, too, and thanks for stopping by! It's our favorite series, and finally, everyone in the family has her own set of books. I hope you had a great holiday, too! Nice! I still haven't read any of those series. I don't know if I'm even going to read it. :| Since it's so long, but heard good things about it. You should definitely give The Infernal Devices a try. Once you start reading, the pages just fly by, and before you know it, you've finished an entire book. The Raven Boys! Breathe! Both are excellent books. Enjoy, girls! You really can't go wrong with Cassandra Clare! Happy reading - and Happy Birthday! She's got quite a few fans in our family, as you can see, lol. Thanks for stopping by! Ooh great books. I am dying to read all of them. I especially want to read Easy and I really need to read more books by Cassandra Clare. Thanks for sharing. And happy birthday. I've really wanted to read Easy for a while and caved in and bought it. I haven't read any New Adult, so I'm looking forward to starting it. Thanks for stopping by! 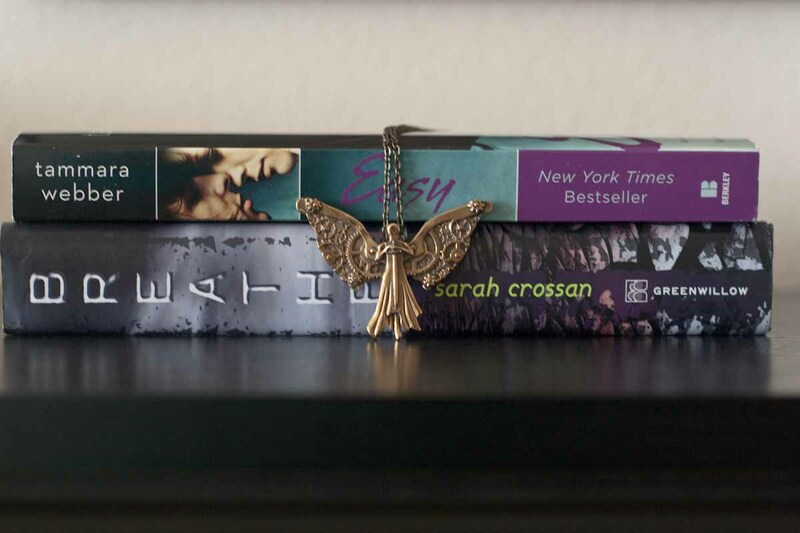 Loved Breathe, Easy and Clockwork Angel. ENjoy! I'm happy to hear that you enjoyed Breathe and Easy! I hope to begin reading them soon. Thanks for stopping by! 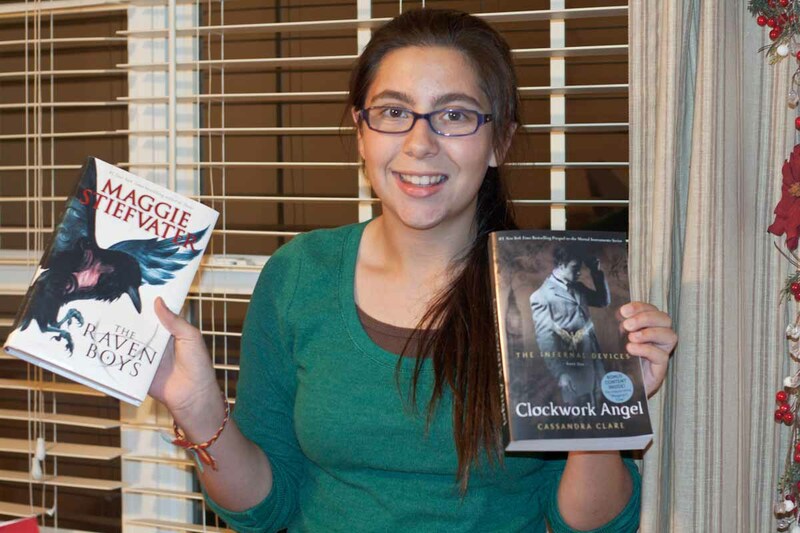 I really enjoyed Clockwork Angel. Haven't got to the Prince yet! Happy reading and thanks for visiting. Clockwork Prince was fantastic. I need to reread both books before Clockwork Princess comes out in March. Thanks for stopping by! So in love with your haul. Love all of Cassandra Clare's books. I am so in need of the angel pendant and that bookmark! LOVE! Hope you enjoy all that you got! Happy New Year and happy reading! I definitely need to get a bookmark for myself eventually. The workmanship on all of the TID pieces is exquisite. I hope you have a Happy New Year, too!